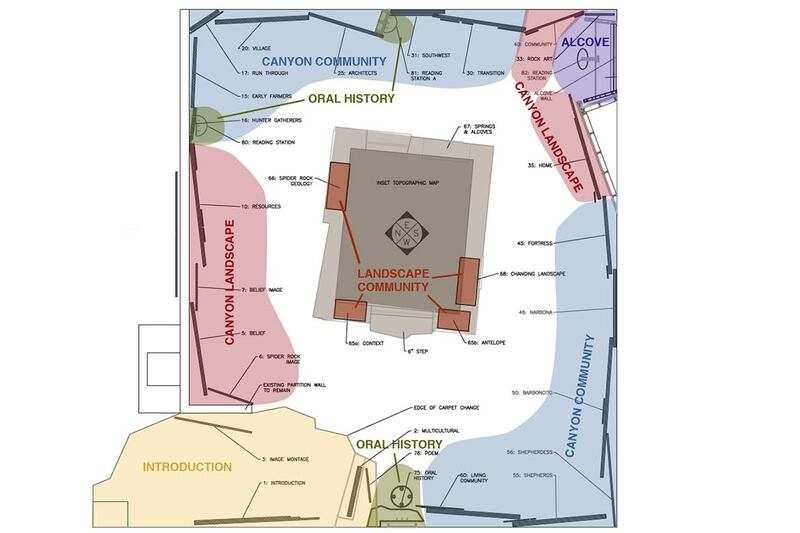 Canyon de Chelly is a unique national treasure, a place of unsurpassed natural beauty, a sacred ancestral home, and a living community. 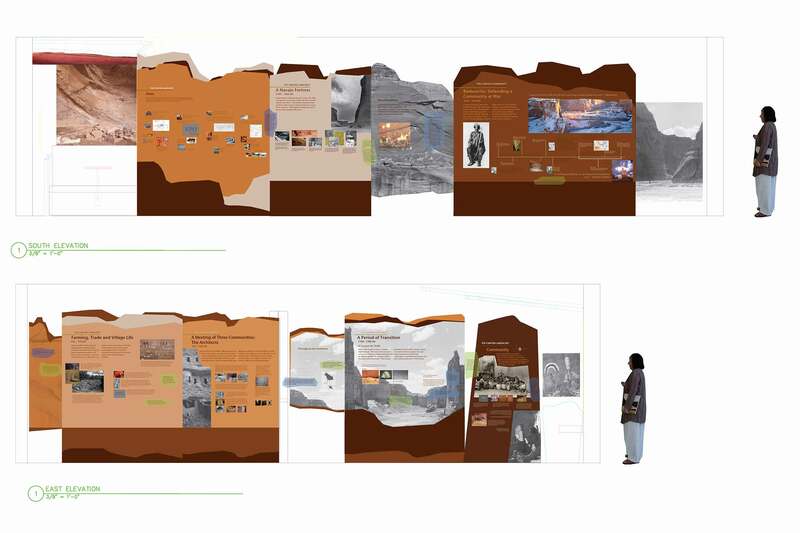 It draws visitors from all over the world, while Navajo, Hopi, and other Native Americans come from just down the road. 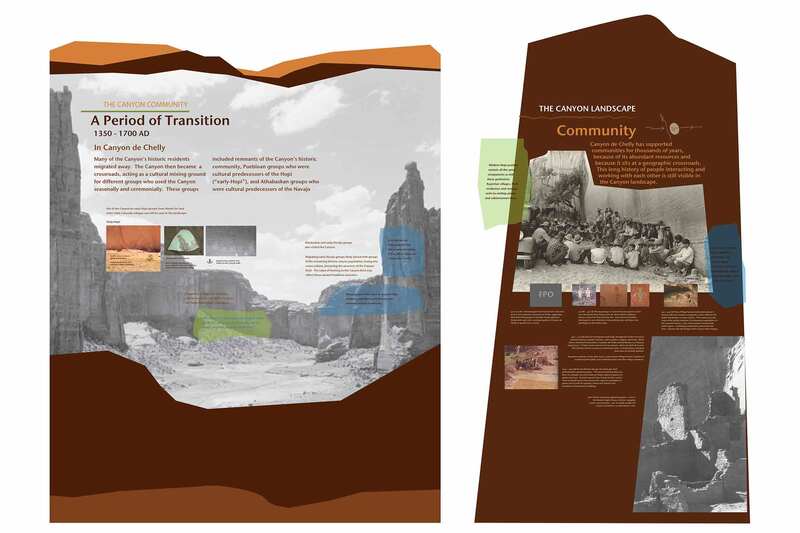 LCS’ work was to design a new visitor center exhibit at the monument entrance in Chinle, collaborating with the National Park Service and the local Navajo and Hopi tribes to create an experience offering multiple perspectives (cultural, scientific, and personal) on the canyon’s people and history. Mindy is most proud of the introduction of an oral history element which she pushed in order to show various perspectives and to keep them alive. 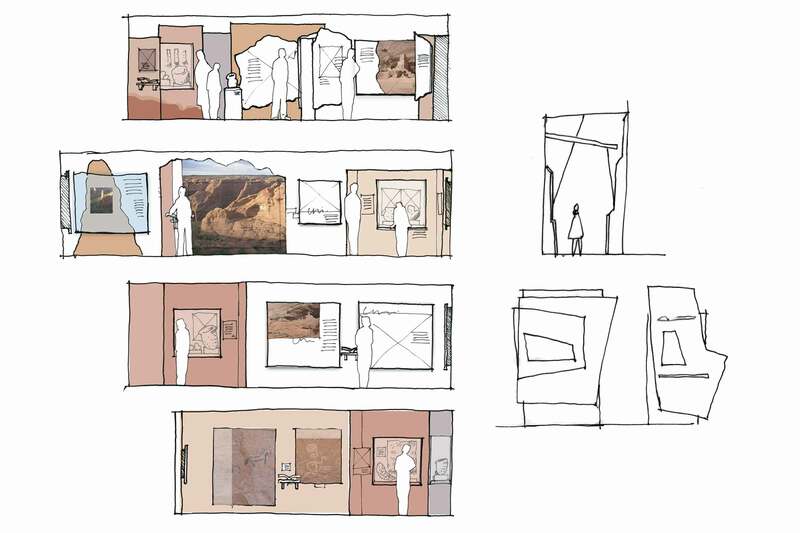 Turner Exhibits was the fabricator for this project. 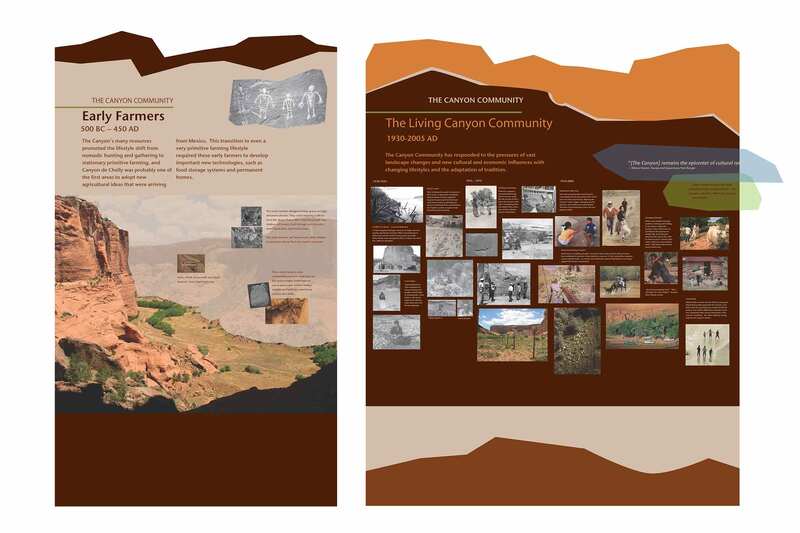 LCS worked closely with the National Park Service and, particularly, the Navajo Tribe’s park rangers. Unfortunately, termites and asbestos were discovered in the building and the exhibit was put on hold, indefinitely.